I’ve been fortunate to do it both live and taped. 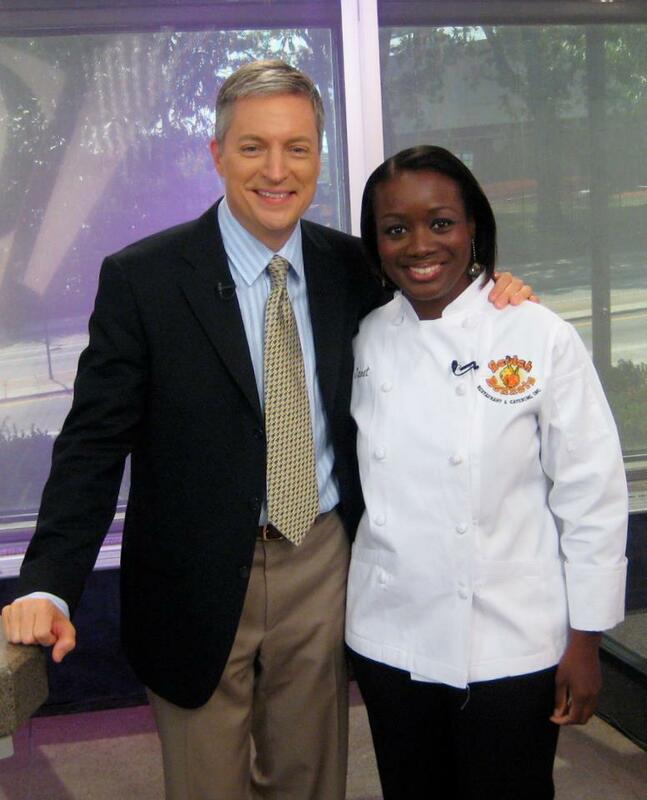 My television debut began about seven years ago shortly after starting my food business. 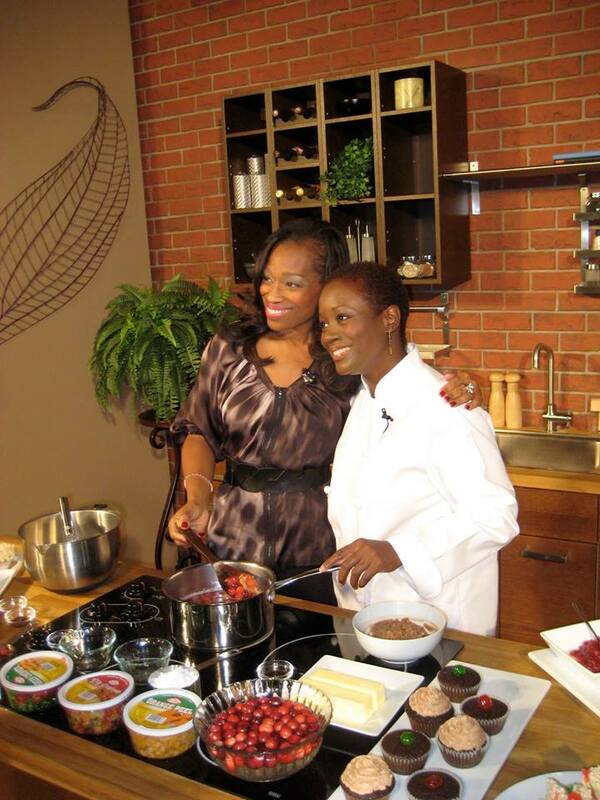 I had contacted my local PBS station WYBE-TV channel 35 about hosting a show on Jamaican culinary tradition. I pitched the idea of The Pepper Pot, a 5-minute cooking series. With the help of a few friends I hosted and produced seven episodes. WYBE would later undergo a rebranding. When the newly formatted station launched as MiND TV, The Pepper Pot: Curry Chicken segment was the first show that aired. 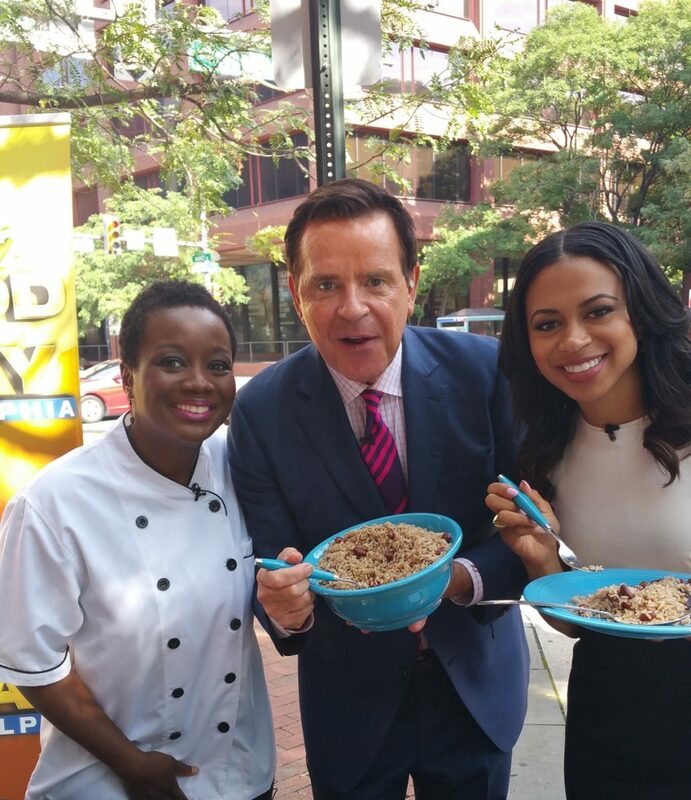 Since then, I’ve made numerous guest chef appearances on FOX Philadelphia and NBC-Philadelphia, and most recently PHL-17 TV with Jennifer Lewis-Hall. Actually, you could say my first stint on network television was brought to you by PBS. As luck would have it, one of my pepper pot segments caught the eye of the planning editor at FOX-Philly. It wasn’t long before I was spicing this up with Sheinelle Jones, Anthony Gargano, Mike Jerrick and the rest of the FOX-Philly team. I even did a live segment on FOX representing Cabot Creamery. FOX lead to quite a few delightful segments on NBC with Bill Henley. This latest video, however, is a slightly different take. I produced this 3-minute clip recently as a special project. It’s not the usual recipe or how-to video as that was not the intent. The purpose was to produce a piece that highlights my cooking and on-camera skills while engaging the audience and viewer effortlessly. Brought to you by Janet Davis, CEO, Executive Chef & On-air Talent.